Workers build a new international terminal at Fort Lauderdale-Hollywood International Airport. 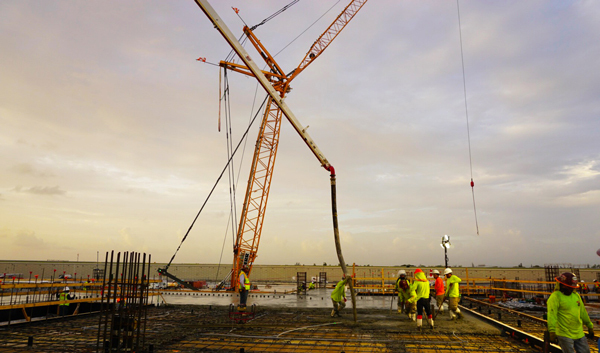 Cranes still hover at construction sites throughout South Florida, tall testimonies to the high-rise construction boom that has rebuilt skylines on the state’s Southeast coast. But in the shadows of the gleaming new condo towers, construction contractors are moving on, building more airport concourses and schools these days than gleaming skyscrapers. Competition is fierce at this stage of the real estate cycle, with big firms bidding fiercely for midsize projects and working extra hard to retain the labor to do the work. The slowdown in condo development has siphoned some of the fuel that has propelled the construction business in Miami-Dade, Broward and Palm Beach counties. Yet just about every other type of construction work is available in the robust tri-county market, from rental apartments, offices, hotels and warehouses to schools, roads, bridges, and seaport and airport facilities. “You see a significant decrease in condos in South Florida,” said Tom Murphy, co-president of Miami-based Coastal Construction, one of the most active general contractors in South Florida and No. 2 on TRD’s ranking of firms by number of employees. Murphy said competition among contractors in the tri-county area “absolutely” has increased amid a downsized and different mix of work: “There are fewer larger projects and more midsize projects” than in recent years, he said. But Coastal Construction and other general contractors acknowledge they are facing some significant headwinds, prominent among them the tight lending market — resulting in far fewer construction loans — and, most pressingly, higher labor costs as well as the possibility that subcontractors may relocate if the volume of South Florida construction declines. General contractors worry that qualified construction workers will leave the tri-county area as they did in large numbers after the 2008-2009 housing crash and financial crisis. As the market has turned, Plaza Construction has pursued more commercial work, such as design-build jobs, office construction projects and retrofits of large retail spaces. Plaza and the other contractors TRD spoke to all wondered and floated theories about what a sustained construction downturn in South Florida would look like: a correction … or another crash? Meltzer is in the correction camp. He expects the notoriously cyclical Miami real estate market to operate more like the New York City real estate market and experience shallower downturns and quicker upturns than in years past. The annual dollar value of South Florida construction starts ballooned from $6 billion in 2012 and $6.6 billion in 2013 to $10 billion in 2014 and has held in the 11-digit range, rising to $11.4 billion last year, according to Dodge Data & Analytics. Residential work accounted for 63 percent of all South Florida construction starts in the last five years. But Dodge reported that this year started with an 11 percent decline in the value of South Florida construction starts and a drop in the residential portion to approximately half. The dollar value of South Florida construction projects that started in the January-to-April period fell to $3.3 billion from $3.7 billion in the same four-month period last year, according to Dodge. Reflecting the slowdown in the condo market, the total value of residential construction starts in the January-to-April period this year plummeted to $1.7 billion, a 31 percent drop year over year, while the value of nonresidential construction starts increased to $1.6 billion, up 24 percent. If the overall decline in construction persists, some developers expect to benefit from a shift in bargaining power as they negotiate deals with general contractors. “We are at a point where that trend is going to start changing” in favor of developers, said Leonardo Coll, who is leading the development of a 31-unit condominium called Adagio Fort Lauderdale Beach. But “if the market slows too much, it’s not good for anybody.” Like Adagio, many South Florida condo projects are already under construction or nearing completion at this stage. 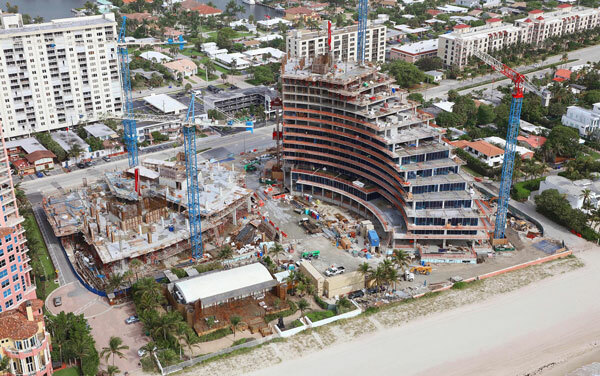 Construction of the Auberge Beach Residences & Spa in Fort Lauderdale is moving quickly. Developers this year will finish building 3,575 rental apartments and 2,774 condos in Miami’s urban core — reversing a long-term trend of delivering more condos than apartments — according to a report by Integra Realty Resources Miami for the city’s Downtown Development Authority. Fort Lauderdale-based general contractor Moss & Associates — No. 3 in the TRD ranking — is building some of the highest-profile condo projects in South Florida, including Flatiron Brickell, a 64-story, 549-unit tower in Miami, and Auberge Beach Residences & Spa Fort Lauderdale, a 171-unit development at a beachfront location. Nevertheless, the firm rang up a record $1.25 billion in revenue last year and expects a similar amount this year and “substantially higher” revenue in 2018, Moss said, citing the company’s nonresidential work. For example, his company is working on major projects to redevelop two waterfront hotel properties in Fort Lauderdale: the Hyatt Regency Pier 66 and the Bahia Mar resort and marina, which is the home of the annual Fort Lauderdale International Boat Show. It is also finishing construction of a rental apartment building in downtown Fort Lauderdale called Icon Las Olas, which, at 45 stories, will be the city’s tallest building. In addition, Moss & Associates recently finished building a $200 million international concourse for Southwest Airlines at Fort Lauderdale-Hollywood International Airport and has started working on a $470 million contract at nearby Port Everglades to lengthen the deep-water area where cargo ships turn around. Miami-based MCM — who topped the TRD ranking — is another general contractor with plenty of nonresidential work. Alexis Leal, vice president of MCM, said this year the company will top last year’s revenue of $327 million, up from $250 million in 2015. Among other large nonresidential projects, MCM is building a $125 million expansion of the international terminal at the Fort Lauderdale airport. “We do a lot of airport and seaport work,” Leal said, and MCM’s business would benefit if President Donald Trump increases public spending on infrastructure construction projects. “Without a doubt, if Trump is going to put more money into roads and schools and infrastructure, that would be a big benefit to our firm,” he said. But like other general contractors, MCM is concerned about labor availability in a challenging political climate. 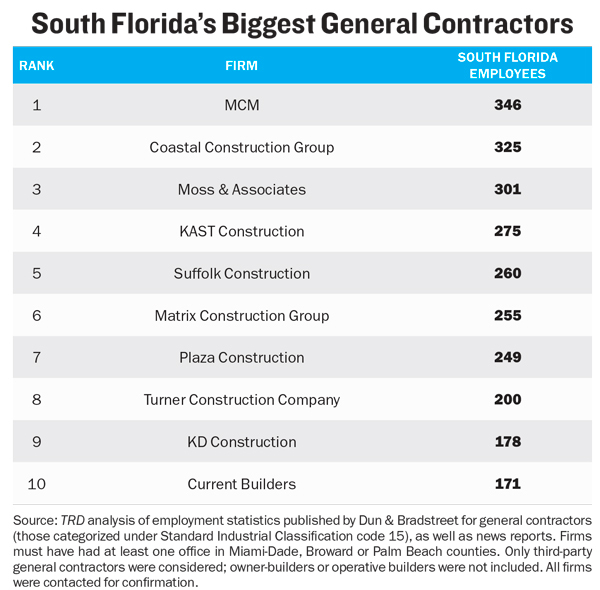 MCM also worries about losing its own employees to other general contractors in South Florida’s tight labor market. The area’s unemployment rate dropped to 4.4 percent in April, the lowest level in nine years, so some general contractors add staff by taking talent from others. 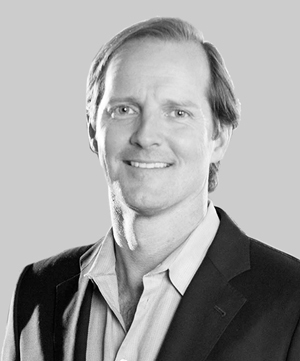 In a phone interview from his New York office, Richard Wood, CEO of Plaza Construction Group, said general contractors face a market in South Florida that appears to have peaked, pulled down by a dearth of condo work. Wood pays close attention to the numbers: South Florida is the second-biggest metropolitan market for New York-based Plaza, which rings up annual revenue in the range of $1.3 billion to $1.5 billion. “The lenders are also aware of this peaked market, and have scaled back their willingness for a higher loan-to-cost ratio on construction loans,” Wood explained. But having enough labor to do construction projects looks to be an even bigger issue than getting projects financed. “In these robust markets, it’s definitely a challenge to get skilled people managing these projects and to perform the work,” he said. The working class as a whole struggles mightily in the Miami area, which ranks near the bottom of all U.S. metropolitan areas in median household income but near the top in median monthly rent, according to federal data. A study by the Worker Defense Project and the Partnership for Working Families found that 44 percent of Miami construction workers struggle to pay rent and cover other household expenses. The industry is trying to encourage more Florida college students to pursue a variety of careers in the construction industry. But “the industry faces a cultural challenge,” said Peter Dyga, president and CEO of the Associated Builders and Contractors Florida East Coast Chapter. Editor’s note: An earlier version of this story incorrectly put Balfour Beatty at the top of the ranking based on an out-of-date employee count. The firm contacted TRD after publication with the correct number of employees, and the firm no longer ranks among South Florida’s biggest general contractors.